Designed specifically for distributors, wholesalers and merchants, that is, anyone who buys and sells stock of any kind: Electrical, Plumbing, Fasteners, Food, Janitorial, Bricks, Flowers, Fashion Goods & Roofing – just some of the different industries we have worked with. We work in partnership with our customers focussed on building strong working relationships from the initial investigative system process meetings to ensure best fit, ongoing care and constant contact via our Training Consultants and Support Teams. Our support desk is designed to put the customer first. We work on a collaborative basis meaning whoever you speak to initially owns that query and will keep you up to date on progress. We do not pass our customers from one employee to another – your support agent sources and delivers the solution to you for acceptance. Our software runs in a Windows environment, using the .Net and DevExpress frameworks in conjunction with an MS-SQL backend. These are the powerful and proven technologies used by some of the world’s largest companies to ensure that your business is supplied with proven reliable software which is suitable for your needs. Our UK team of developers, with feedback from our customers, constantly update and improve our core software. We have only one version of the software and all new features and improvements are available to all customers via three to four upgrades each year as part of your support contract. We are at the forefront of all regulatory changes. Our customers are advised well in advance of any mandatory changes such HMRC MTD – Making Tax Digital and future 2020 HMRC compliance as well as unknown possible Brexit changes. Our aim is always ‘to avoid unnecessary stress for our customers’. We recognise that not every business is the same and therefore provide a significant number of industry specific optional modules designed to meet exact requirements. Larger modules such as Delivery Routing and Projects Management are written & trialled in conjunction with our customers in live environments. 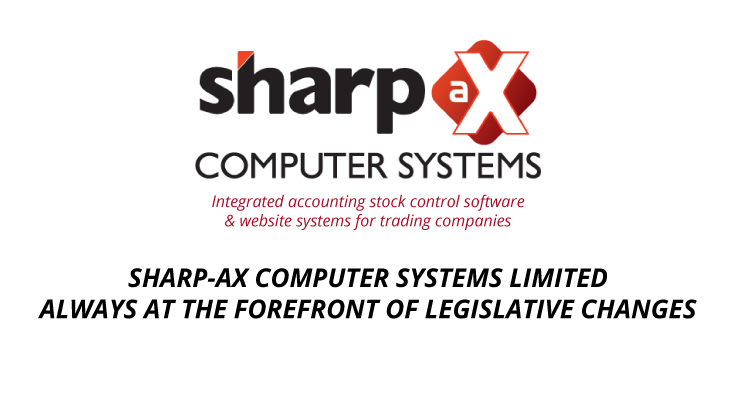 The Sharp-aX software is flexible, powerful and complex – it is built to be the heart of your business, bringing together all the information your business needs in one place. If your business uses other, specialist software, our experienced team ensures that where possible they will be tightly integrated as if they were part of Sharp-aX itself.